Suraj College of Engineering and Technology was established in the year 2009 located in Mahendragarh, Haryana. The institute is approved by AICTE and affiliated to Maharshi Dayanand University, Rohtak. The institute was established with the aim to provide prominent education in the field of management and technology. College offers undergraduate course in BCA, BE/B Tech &BBM and Graduate course in MBA and ME/M Tech. The institute is managed under the Suraj Society. 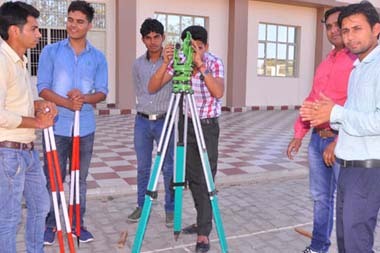 Institute has a vision to offer essential technical education & business studies based on industry curricular to impart industry exposure among the candidates. Dedicated faculty team who are highly skilled in respective domain offers effective teaching through inventive methods. The mission of the institute is to accomplish excellence in practical and specialized education and also to gain outstanding academic records. The objective of the institute is to build the character and shape the career of aspired candidates to develop as a responsible citizens and main is to develop as successful entrepreneurs, analytical thinkers and Global leaders to meet corporate industry standards. 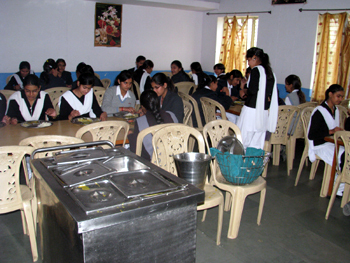 The institute has best infrastructure amenities such as Hi-Tech computer labs and Laboratories with advance technologies, Library which contains good collection of reference books & National Journals, Transport facility, Canteen, Wi-Fi facility, Sports & Games, Extra-Curricular activities, Medical services, Hostel accommodation and Workshops labs. Write Your Reviews on "Suraj College of Engineering and Technology"
Are you Interested inSuraj College of Engineering and Technology"? Please provide the following details. 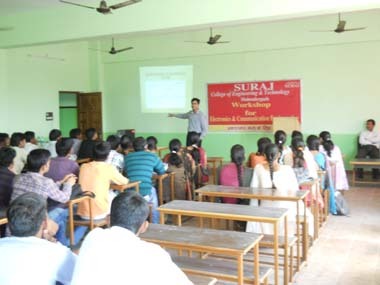 Ask Question on "Suraj College of Engineering and Technology"?